At the moment we have 64 children in The Good Life Orphanage, during the Christmas holiday period many of the children return to extended families or visit the homes of our GLO staff before returning on 22nd December for Christmas celebrations at the orphanage. Sadly there are eighteen children who do not get this chance and these children really struggle to understand why they cannot leave the orphanage like the other children. 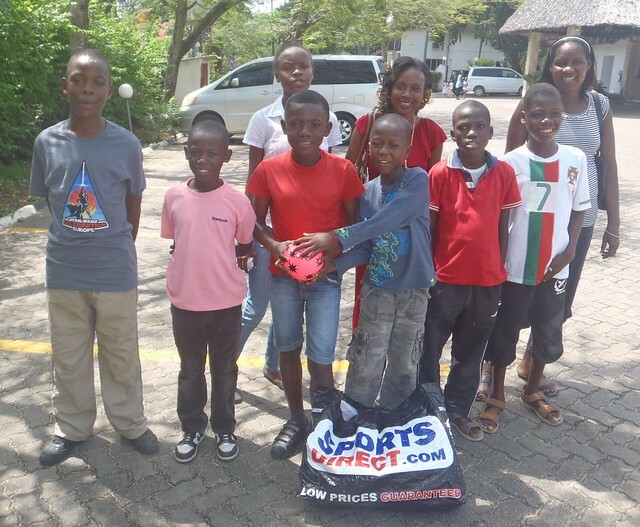 After speaking to Des & Nina O’Malley about this, they very kindly made a generous donation so these children could enjoy a special treat during the holidays and what better than a trip to Mombasa’s vibrant Bamburi Beach. 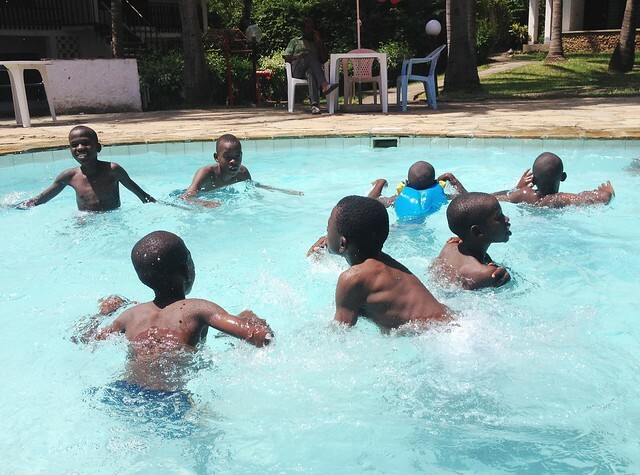 Milele Beach Hotel is a Non-Alcoholic, Non-Smoking Christian Hotel which is very family orientated and a world away from many of the coastal hotels, the pools are child friendly with a lifeguard on duty, a must for many of our GLO children who have special needs. Mercy managed to negotiate a very good rate for use of the facilities along with a very tasty lunch of sausages, chips and soda for all the children, this was indeed going to be a treat for them. 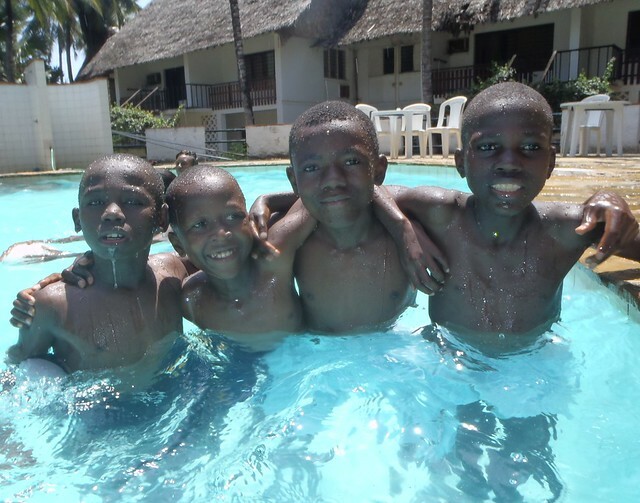 The boys soon changed into their swimwear and spend hours playing games & swimming in the pool, it was good to see how confident they were as some have only been to the beach a few times before this. 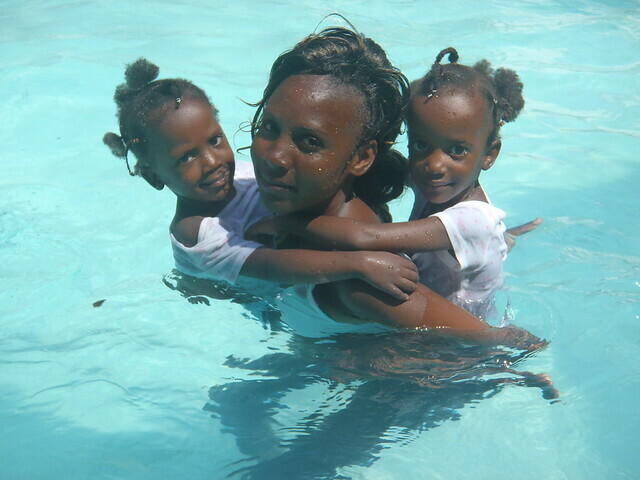 The triplets and Michelle loved the water and thanks to Mama Stella & Winnie they frolicked in the pool for hours. All the children had a wonderful time, the boys even had their lunch at the bar in the swimming pool, they also ate their body weight in chips covered with tomato sauce. 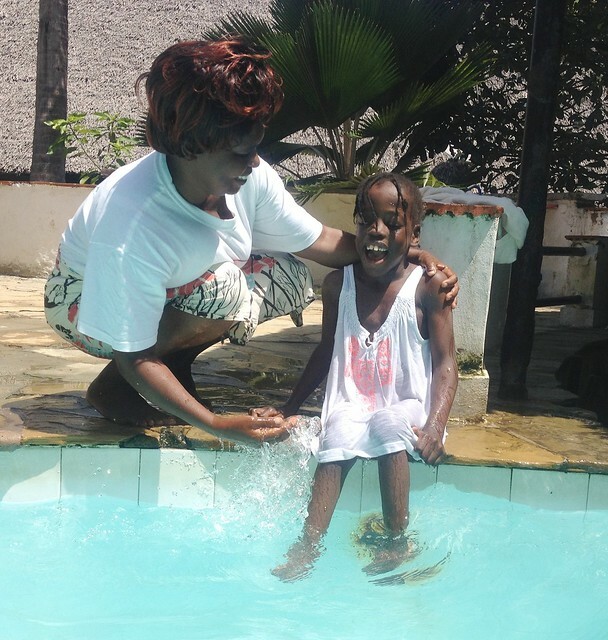 Kevoo joined in the fun regardless of his mobility problems but Saidi just watched from afar when the children were in the pool. 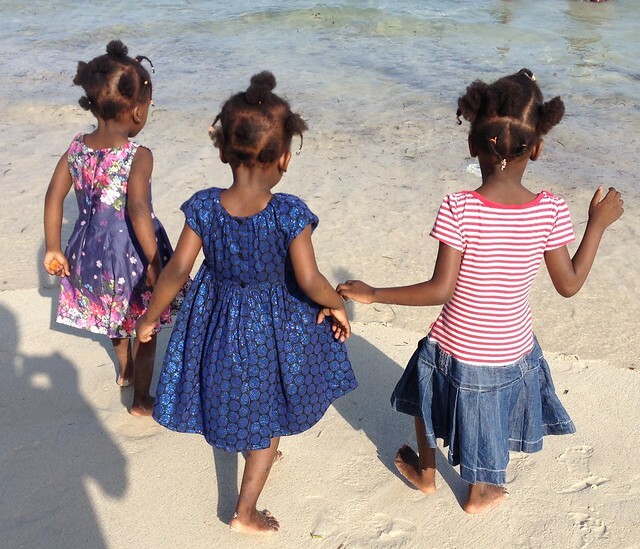 To finish the day, the children and accompanying staff went for a walk on Bamburi Beach and dipped their toes into the Indian Ocean, the perfect end to a perfect day. 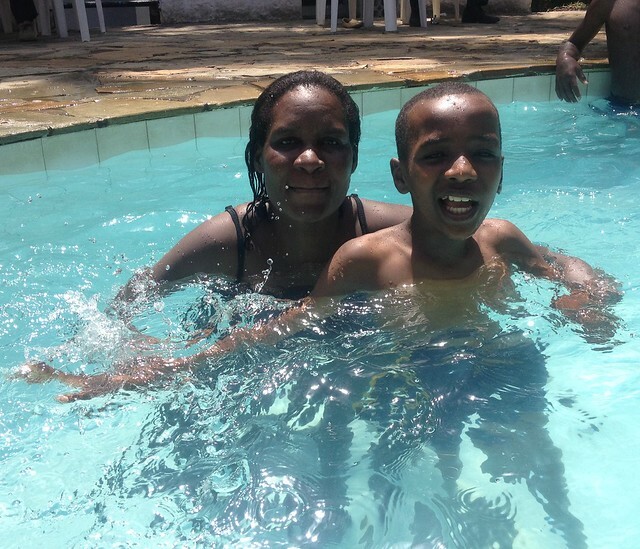 The children were so happy to have been able to enjoy such a memorable outing and all pass on their thanks to Des, Nina & family for making this possible. Oh Mary, reading this has made my day thank you so much for sharing the pictures of their smiley faces. It is lovely that you think of these children who are left behind and give them such a special time, it looks like lots of fun especially eating chips at the pool bar – how decadent . You guys are amazing and do a wonderful job. Lots of love and huge cuddles to all of you. Oh what a lovely and thoughtful thing to do with those that stayed behind over the holidays. Makes them feel special and loved too .Looks like they all had a great day out, looking at the pics and its something they will never forget. Well Dome Mary & Kevin as always with the great work you are doing and to the O’Malley family for making “the special treat” possible.